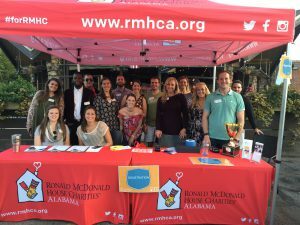 The RMHCA Junior Board hosted their 2nd Annual Sweet Home Brews event at the end of September. Have you ever heard that “some things get sweeter with time?” Well, this event got a whole lot sweeter in its’ second year. The 2nd Annual Sweet Home Brews event was a Firkin Fest featuring 10 craft breweries from across the Southeast. What’s a firkin? That’s the question we were all asking. It’s a small barrel of beer that is dedicated to being a “true ale.” Each of the participating breweries created a unique firkin for the event. Ticket holders not only got to taste each of the firkins, but also got to vote for their favorite. 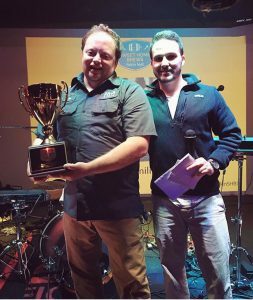 Back Forty Beer Company took home the title of “best firkin” and headed back to Gadsden with a trophy! The Junior Board did a remarkable job organizing and hosting this event! 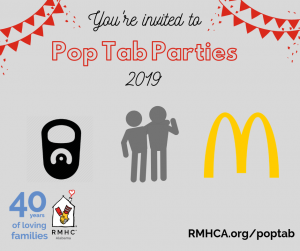 Everyone had a great time AND they raised over $10,000 for the Ronald McDonald House! We cannot wait to see what the 3rd Annual Sweet Home Brews event includes. Stay tuned for more details. Save the date for the next Junior Board event, Red Stiletto Party on February 25th. Don’t forget to stay up to date with our events by visiting our events calendar.